Halloween is coming up soon so we decided to create some pages and other material in Spanish about this date. 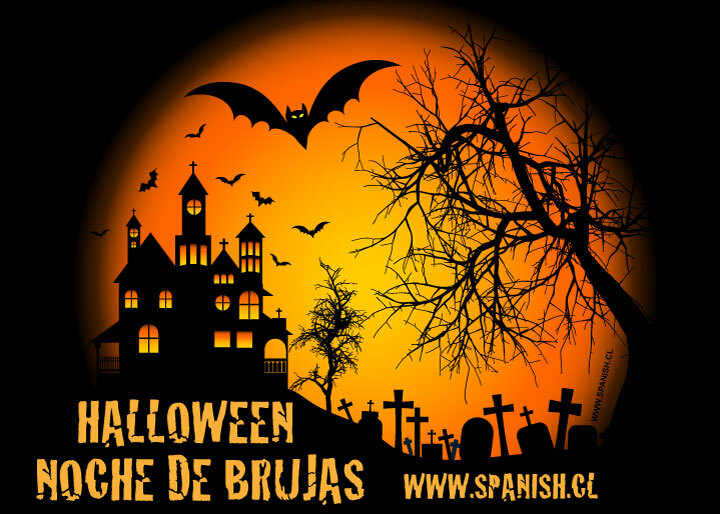 We have a NEW page with vocabulary about Halloween in Spanish here: Vocabulario de Noche de Brujas – Halloween and there is also a Juego / Game to practice this vocabulary. We have also created a resource for Spanish teachers with 3 original stories about Halloween in Spanish. There are some simple comprehension questions for each story too. Note, this is at a pre-intermediate level (or for Spanish 2) since the past tense is used though can also be used for Spanish 3. It is completely in Spanish (without any English on it) so these stories are ideal for Dual Language Immersion classes. See the stories here: Halloween Stories in Spanish. Remember to see the preview pages. We also have a Spanish Halloween Worksheets and Activities Pack for teachers. These are create for students that are fast finishers or as an activity to do at the end of class or before bell. And maybe you have been wondering how to say Halloween in Spanish. Well, the main way of saying it is Noche de Brujas. This literally translates as “Night of Witches”. Do you celebrate Noche de Brujas / Halloween in your country? ← How to say CAR in Spanish – Coche, Carro or Auto?